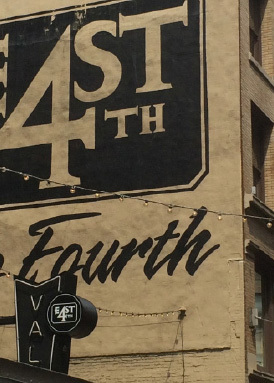 East 4th has a long and storied history. Starting out as Cleveland’s first theater district at the turn of the 20th century, East 4th was home to the Euclid Avenue Opera House and several costume shops catering to street performers. After the opera house burned to the ground in 1920, the street became a haven for bargain shoppers at five and dimes such as Woolworth, McCrory’s and Kresge’s. Following decades of decline and vacancy, East 4th got a new lease on life with the opening of Pickwick and Frolic Restaurant and Comedy Club in September of 2002. Nick Kostis, owner of Pickwick and Frolic imagined the street as something from his childhood in Brooklyn, NY, a vibrant neighborhood of bars, restaurants and shops in the heart of the city. As time went on, others bought into the vision as House of Blues opened a sprawling 50,000 square foot homage to music in the historic Woolworth department store buildings. Michael Symon relocated his flagship Lola Bistro to the street and East 4th was off to the races. 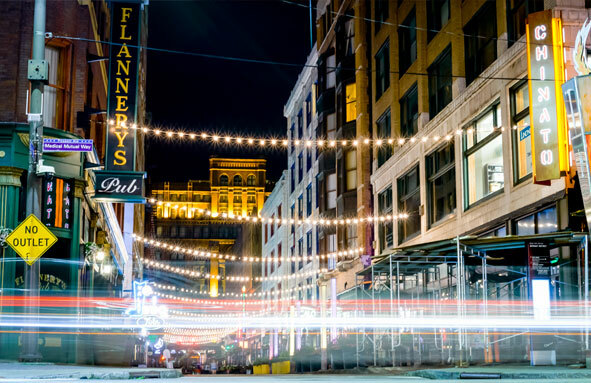 East 4th has sparked a resurgence of Downtown Cleveland. Following the East 4th model, formerly vacant buildings all over town now house residential apartments. Cleveland has, once again, become a vibrant, 24-hour city like the street at its epicenter. This has made East 4th a great place to call home. A true destination neighborhood.